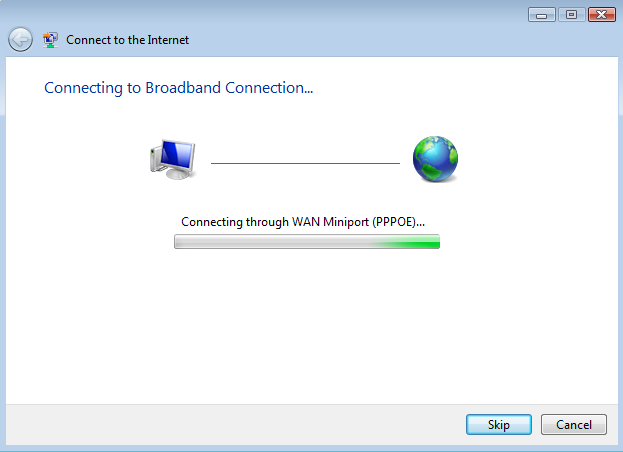 In this tutorial you will learn how to configure a Windows Vista PPPoE Internet connection. If you have DSL Internet at home then chances are that one of the network devices will initiate the PPPoE connection. This device can be your home DSL modem (provided by the ISP), your home router or your operating system. 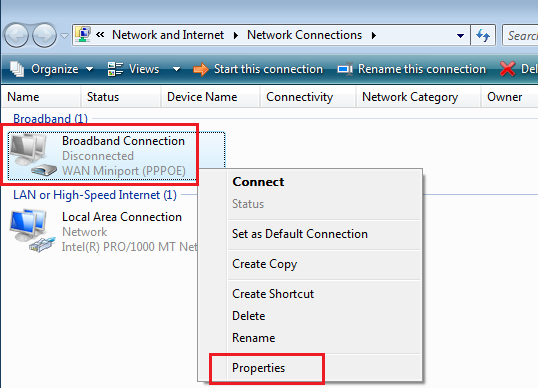 If you would rather have your home router initiate the PPPoE Internet connection then learn how to configure it in this tutorial.. This tutorial will show you how to configure your Windows Vista system to initiate the PPPoE Internet connection. 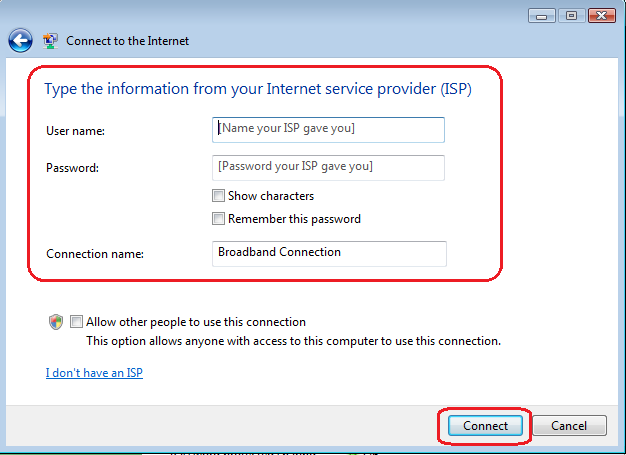 Before you configure Windows Vista to connect using a PPPoE connection, you have to make sure that your Ethernet adapter is set to "Obtain an IP address automatically", click here for a quick tutorial. Ok now that your computer is set to Obtain an IP address automatically, you can begin configuring the PPPoE connection. 1.) Click the "Start Icon" located at the bottom left corner of your Taskbar. 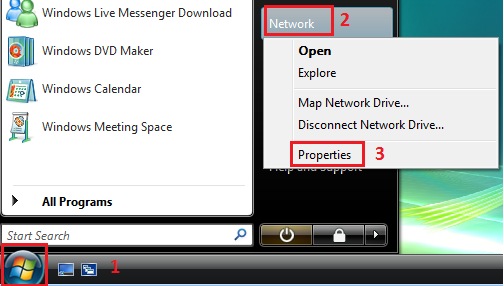 Right-click "Network" and click "Properties". 2.) The Network and Sharing Center window opens. Click "Set up a connection or network". 3.) 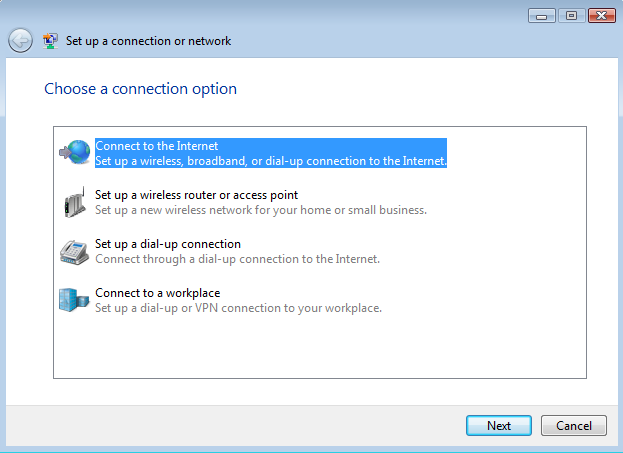 The Set up a connection or network window opens up, choose "Connect to the Internet" and click "Next". 4.) If your computer has Internet connection then you should receive this window below. 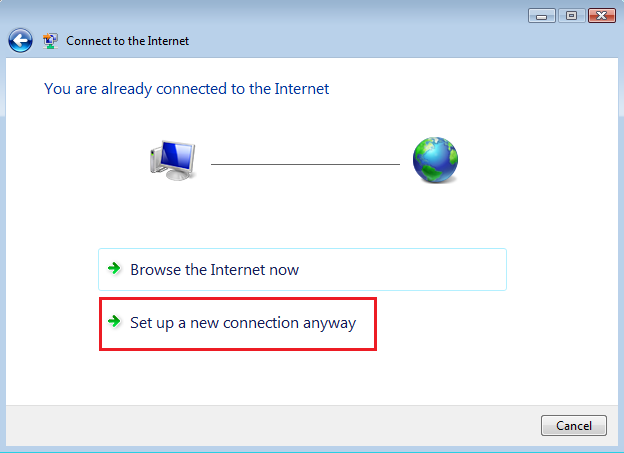 Click "Set up a new connection anyway" to continue configuring a Windows Vista PPPoE Internet connection. 5.) 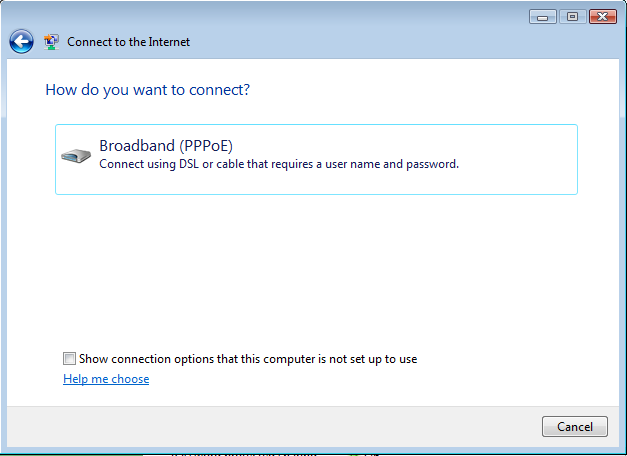 In the next window, click "Broadband (PPPoE)". 6.) In the next window, you will type in the Username and Password that your ISP provided you with. When you order the DSL service, the ISP will provide you with this information in order to connect to the Internet. 7.) An attempt to connect to your ISP will initiate. If you dont have a DSL modem, you would connect your computer to the Ethernet wall port that the ISP installed. If the username and password is correct then you should connect successfully. Open a browser window and star to surf the Internet. You have now finished the tutorial on how to configure Windows Vista with a PPPoE Internet connection.